Didn't think a model T was designed to have a front number plate. 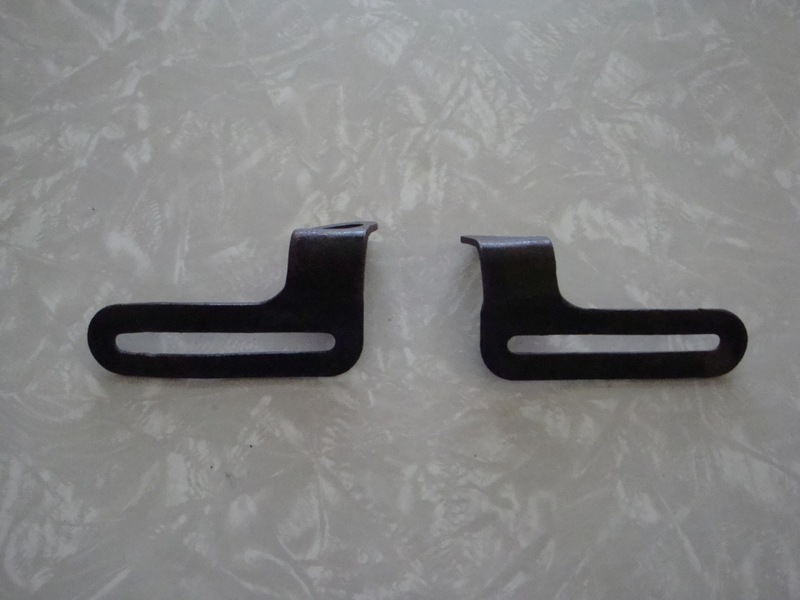 Geoffrey, The crank handle was rubbing on my �number plate� aka "license plate" (USA) as well. I simply fired up the torch, applied heat until dull red and reduced the bend slightly. Clears the plate now with no more rubbing. Would like to add that I did remove the crank and place in a vise for this procedure. Yes as many stated required a front plate there was a holder both Ford and aftermarket. I have had a couple speedsters with the front axle moved forward a couple inches. A simple straighten the middle bend a bit and kink the outer to put the handle back straight cleared the axle just fine. That was some significant tweaking of the handle, and it worked perfectly for starting. A minor tweak to clear a license plate should hardly be noticeable. My '14 did the same thing. I removed the front plate. We do not know from your post or your profile what year t you have, or where the number plate is located. But I would not modify a critical original component to accommodate a non origional non critical part. I would move or modify the number plate bracket. If the plate is under the radiator I would also consider a leather sling to hold the crank away from the plate. When you actually need to use the crank you are only rotating it from the 8 oclock position to the 11 oclock position. I'd either not use a front plate, or find another mounting place for it. I've seen some nasty cuts done cranking a car with a front plate! 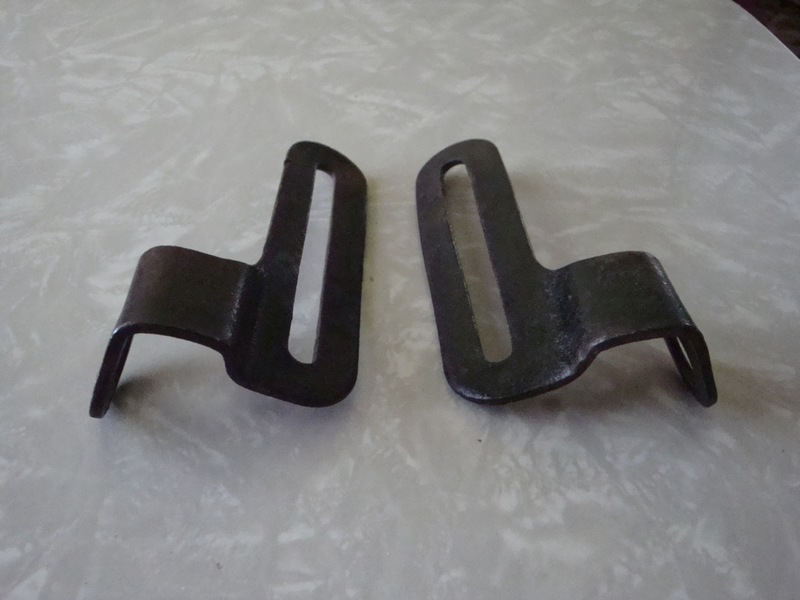 In my opinion, these are the best style of license plate brackets for the early style (1909 - 1921) front engine mount. Notice the dog leg which keeps the plate from interfering with the crank. Would be a good item for someone to reproduce. Otherwise, you have to hunt them down at swap meets. The starting crank handle is riveted to the starting crank. It is impossible for it to do that! (I know what you mean though)! 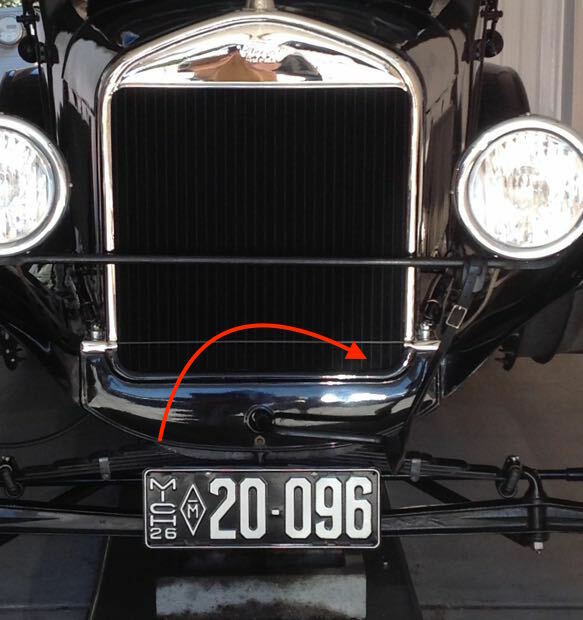 Ford did actually make a license plate holder in the twenties. I won't use one on my brass cars, because if my hand slips, I may get cut. Later on, in the early twenties, Ford made a starting crank with a non removable handle. If your hand is on the crank handle, how in the world can you get cut by the license plate? Educate me. Do people really call these �number� plates? We call them license plates and in New York state you must have both front and rear plates on the car. Never had a problem with my earlier T (using a two piece bracket) or current �23 T with the one piece bracket and original antique plates. Mark, they're called number plates in Australia too. Yes, I did notice that in my copy of The Original Book of the Ford published in London. Interesting. Have also heard them called registration plates here in the US. Like someone said in another thread, I'll bet there are lots of great roads to T on in The Land of Ire! 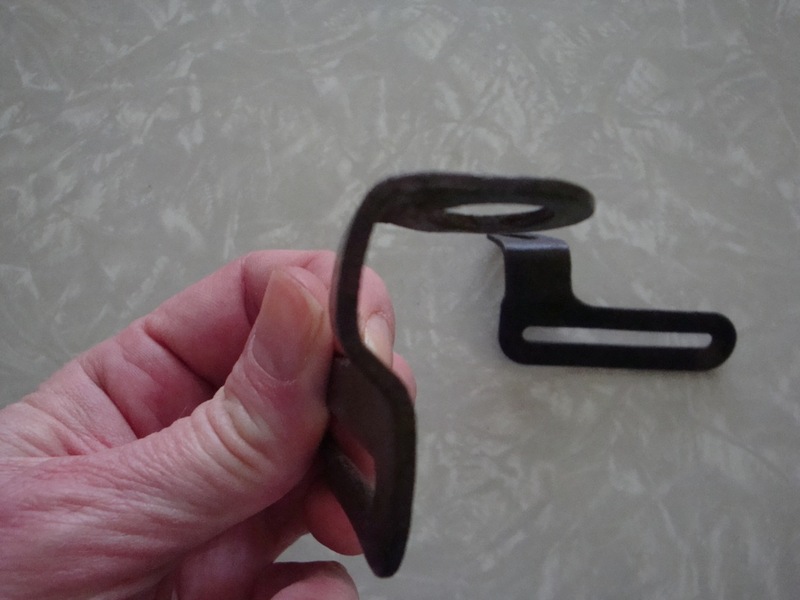 While you have the crank handle out, to correct its shape, be sure to check condition or else replace the crank spring. That spring will keep the crank handle pushed out too from the crankcase and help maintain clearance! Before bending the crank handle confirm that your cross member is not bent or twisted. I have a 15 and sometime in its life the front end bottomed out with the crank hanging down and bent the crank and cross member. Let's not get the starting crank confused with the starting crank handle. Sometime in the twenties, they became one unit. Along time ago I bought a '25 with an early starting crank. I found a late starting crank to replace it with, but the handle was frozen tight. I don't remember how long I worked on it with penetrating oil and a rawhide mallet, but I finally got it freed up. Why go to so much trouble? There was only .001 wear on the unit. How can you hand get cut if it is on the crank handle? What if it slips off while cranking? If one cranks in the arc shown with the red arrow, as I do. Your hand is clear of the license plate. To the best of my knowledge, there hasn't been an epidemic of hands being cut by license plates. Even if there is no license plate, there are so many things that you could catch or bang your hand on if your hand slips off the crank that I wouldn't worry about it. Or, just wear a glove on your hand while cranking.